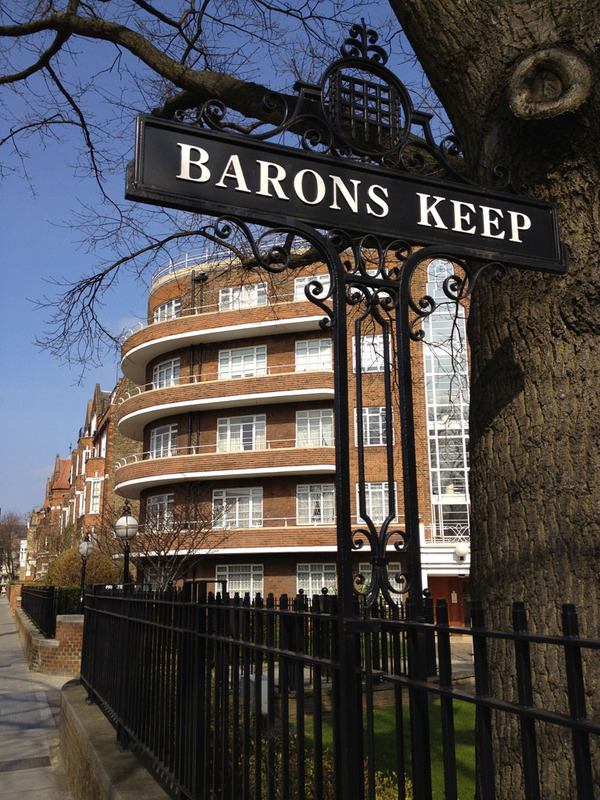 A gated art deco gem with many original features such as bespoke lamp posts, full height glazing to stair cores and graceful balustrading. First floor balconies are almost continuous with upper floor ones peeling back, giving a pleasing boat effect. Windows have been replaced in upvc or aluminium but the overall architectural impact is not spoiled. Flats are paired around eight cores. 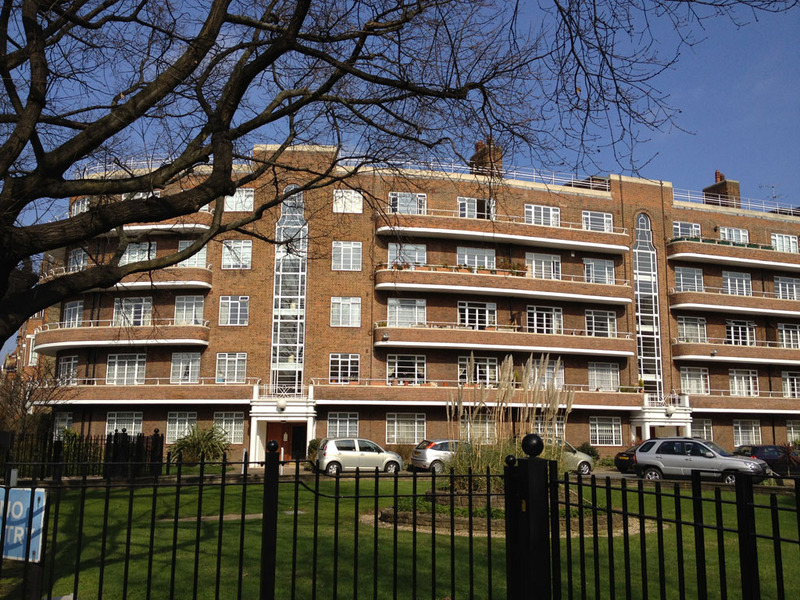 There is a blue plaque at the end of the estate where a double height archway provides a rear access. It doesn’t appear to be mentioned on English Heritage’s database. U-shaped plan form used to address playing field opposite and now looks out on a red brick building for Hammersmith College. Planning permission was recently sought to add a storey to the building.